Dan's Motorcycle "Motorcycle Carburetor Repair "
and the midst of it is burned. Is it meet for any work?" ¶ Without fuel for the fire that motorcycle engine will simply not be "meet for any work". First things first. Go get a working fire extinguisher and put it in easy reach. Like right beside the bike you are working on. Trust me... if you work on carburetors and engines long enough you will light yourself, or an engine, off sooner or later. If you don't... It is OK... I DON'T CARE! IT'S NOT MY BODY AND IT WON'T HURT ME AT ALL! Most carburetor problems seem to come, as you might guess, after the machine has set idle for a while. The real cure is to use Gasoline Stabilizer in your gas whenever the bike is going to sit, unused, for a long period of time. However it happens, if you have compression and spark but it still won't start. If the engine only runs with the choke on or the enrichening lever pulled out, you have one or more jets plugged. 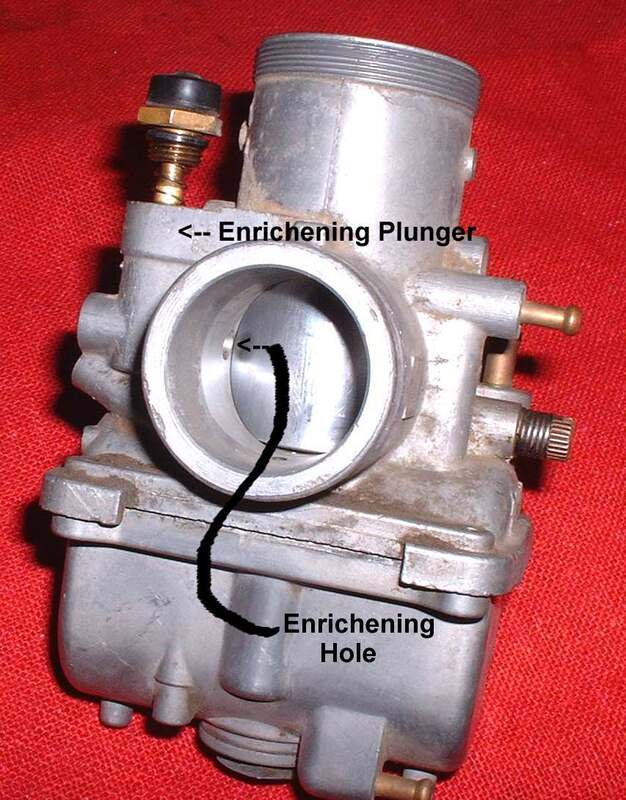 Notice I said enrichening lever... most of the motorcycle carbs have enrichening passages inside the carburetor that, WHEN THE THROTTLE IS CLOSED, provide the rich air/fuel mixture to start the engine. If you open the throttle any at all it cuts this enrichening out of the system. So if you are having trouble starting, and everything looks ok, see if closing the throttle helps. 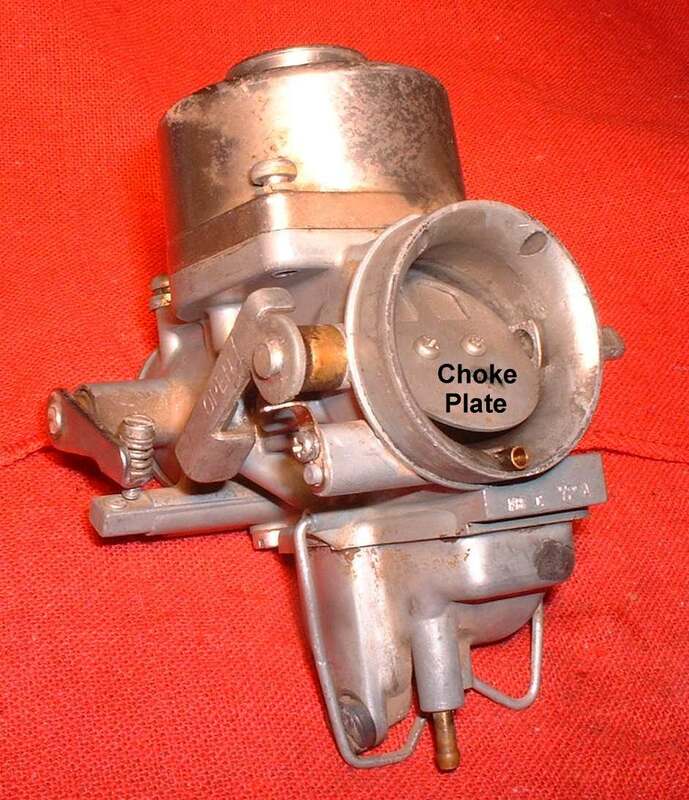 This does not apply to carburetors with a butterfly choke. To get to the jets you will have to take the carburetor(s) off the engine. A shop manual will be very helpful here for float settings and exploded pictures of the carburetor. Use some Gunk engine cleaner and clean off the entire engine and carburetors before you start. 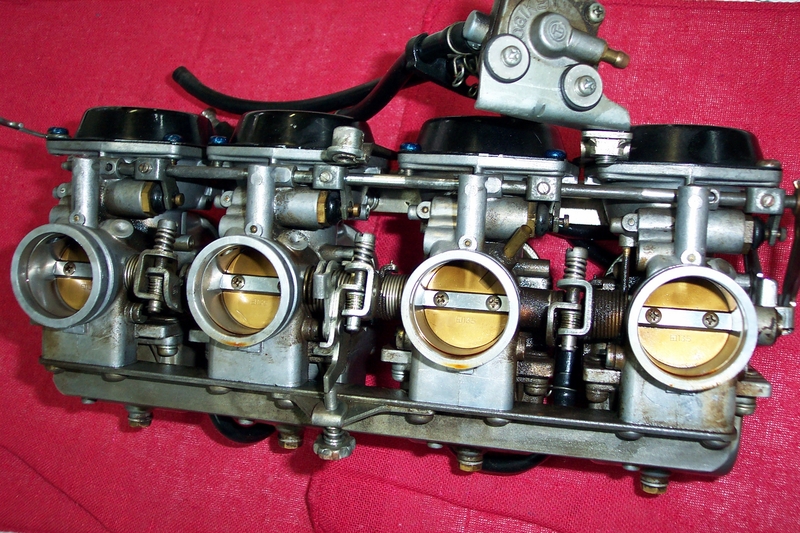 After you get the carburetor(s) off, if necessary get some solvent and clean again the outside of the carburetors. DO NOT go ripping everything down to individual parts. Work smart, not hard. If you take everything apart you risk breaking or losing things that are not broken and that are working just fine. POW, there goes a spring you thought you had a hold of. It is in orbit now and you will never see it again. Then you find out it is not available, except on Ebay in a complete four carburetor assembly for $500 and no, they will not sell it alone. 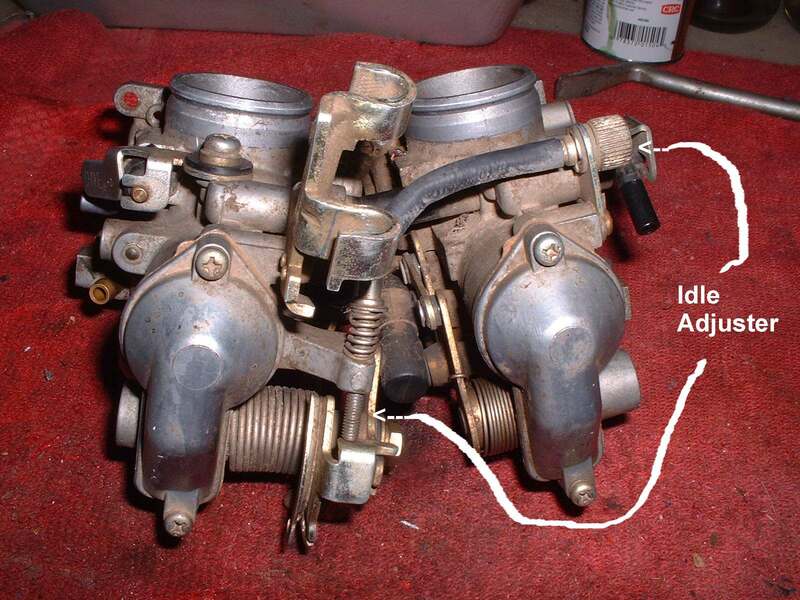 Multiple carburetors are normally bolted together as an assembly. This makes the connections between the carburetors very stable. That in turn allows easy adjustment of the throttle slides so each slide opens and closes the same as all the others. If you take everything apart the adjustments will be lost. These settings are pretty stable and only change after many miles of wear. 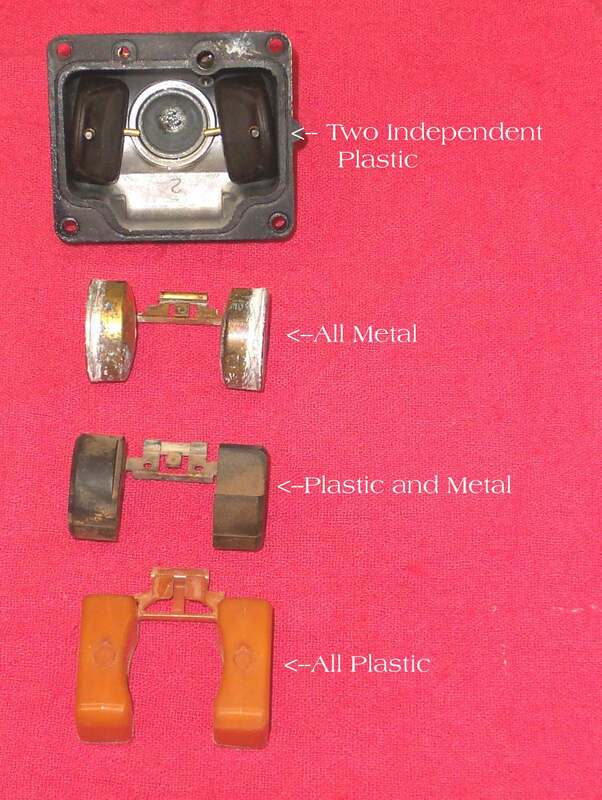 Remember you are not replacing worn out parts. You are fixing plugged up parts. 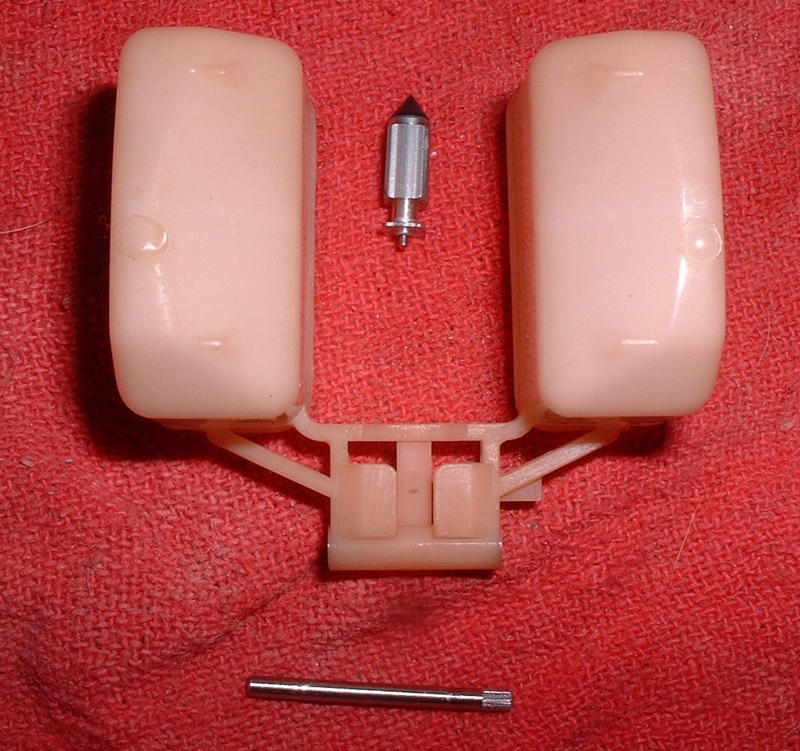 Yes, some of the parts will be worn like the Fuel Inlet Needle and Seat but most parts are just plugged and/or dirty. 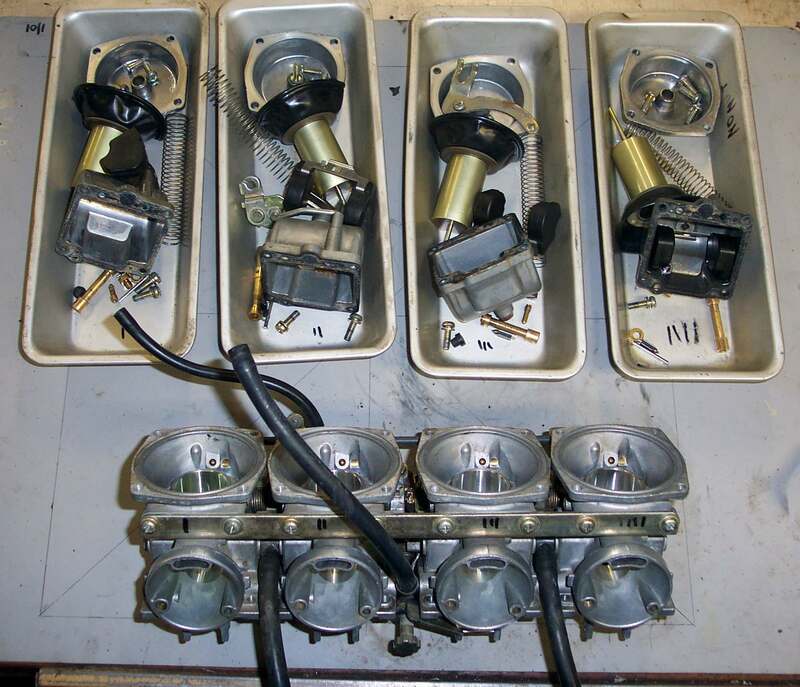 I like to take a tray, one for each carburetor, number the trays, and then put the parts from each carburetor in it's own tray. That way you don't mix up the parts from each carburetor with parts from another. 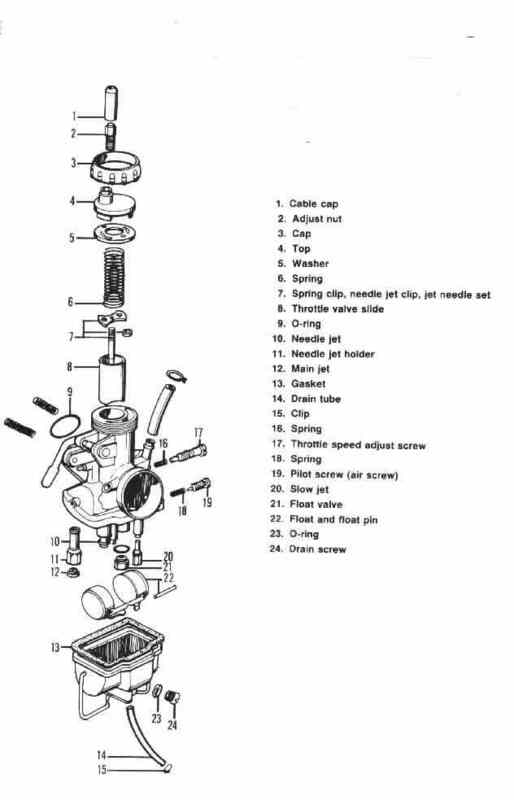 I like to take the top off the carburetor(s) and look at the slide and jet needle first. Usually the slide and Diaphragm are not too bad. I check for holes in the Diaphragm and clean the slide with a shop rag with some spray carburetor cleaner on it. 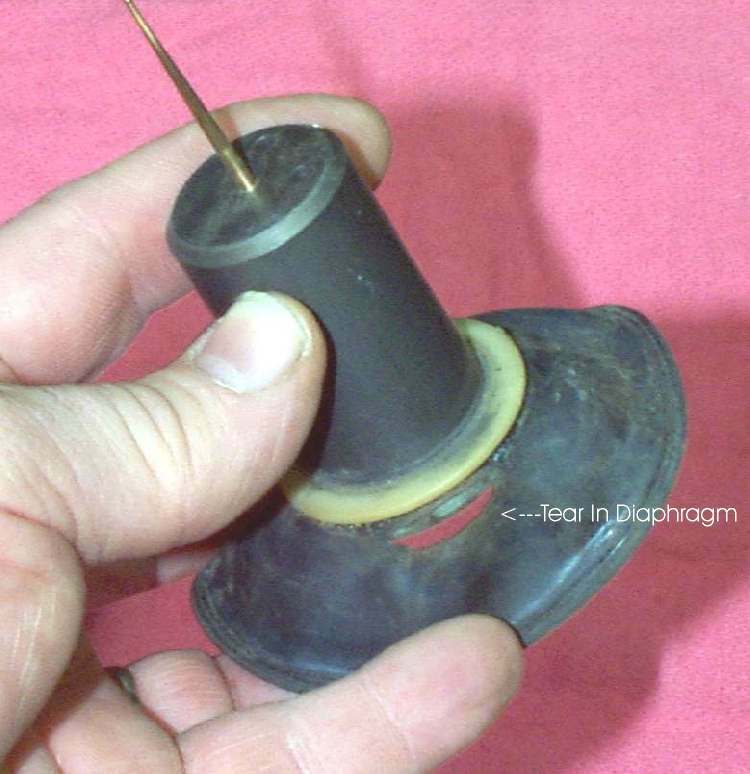 Be careful not to get any cleaner on the rubber Diaphragm. Now take the float bowl(s) off and remove the jets. Sounds so easy doesn't it? Sometimes it is, and other times it's a mass of gook. If it is, scrape as much of the gook out as possible, and boil out the rest with carb cleaner. Now don't throw the whole thing in the cleaner, Look at it first. Does it have rubber seals on the throttle shafts? Look close... sometimes these seals are hard to see and are not shown in the parts books, meaning you can't get them so you do not want to ruin them. If they are there and you can't get them you will have to scrape and clean the carb body carefully by hand and not soak it. 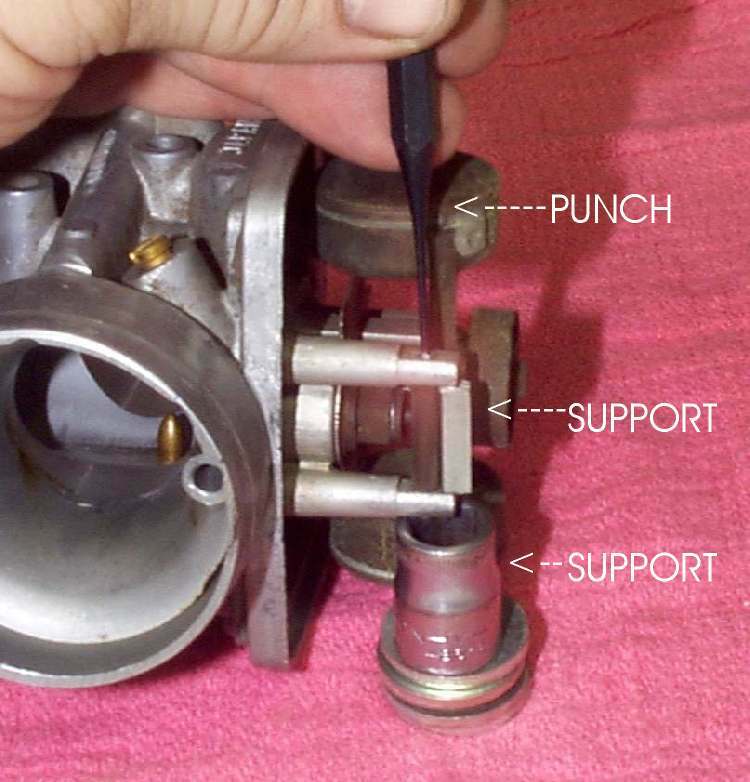 Use a small wire brush, a small screwdiver and some spray carburetor cleaner. Keep at it and sooner or later you will get it clean. 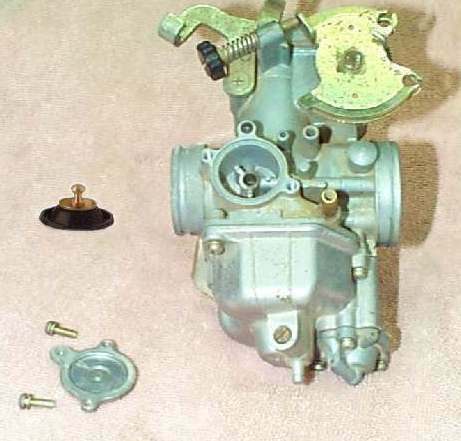 Again, for these reasons most multi carburetor assemblies do not and should not be completely disassembled and dumped into carburetor cleaner. Just disassemble them far enough to do a good cleaning job. Before you remove the air screw, turn it in till it bottoms, counting the turns. When you replace it, set it at this setting to start. 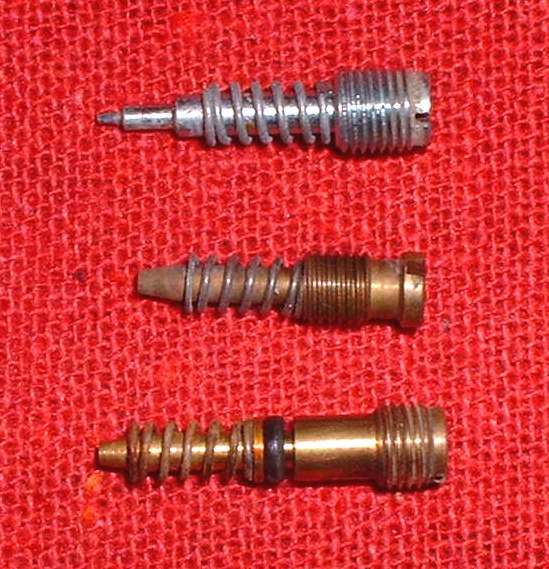 there are many different styles of air screws. Sometimes there is a rubber o-ring and steel washer under the air screw spring and sometimes not. Look for it and if there is one, dig it out with a needle BEFORE you spray carburetor cleaner in there. 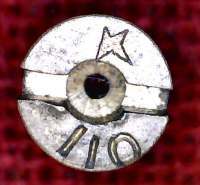 The air screw may be covered by a plug similar to this one. You will have to remove this plug to get to it. I usually set the air screw about 1 & 1/4 turns out, if I don't have a setting. When the engine is warm, turn the screw in till the engine stumbles, then out till it stumbles, and leave it at half way in between. Adjust the idle with the throttle stop screw as needed. Throttle adjustment screws, sometimes called the throttle stop screw, are normally located at the center of the carburetor on most single cylinder motorcycles. 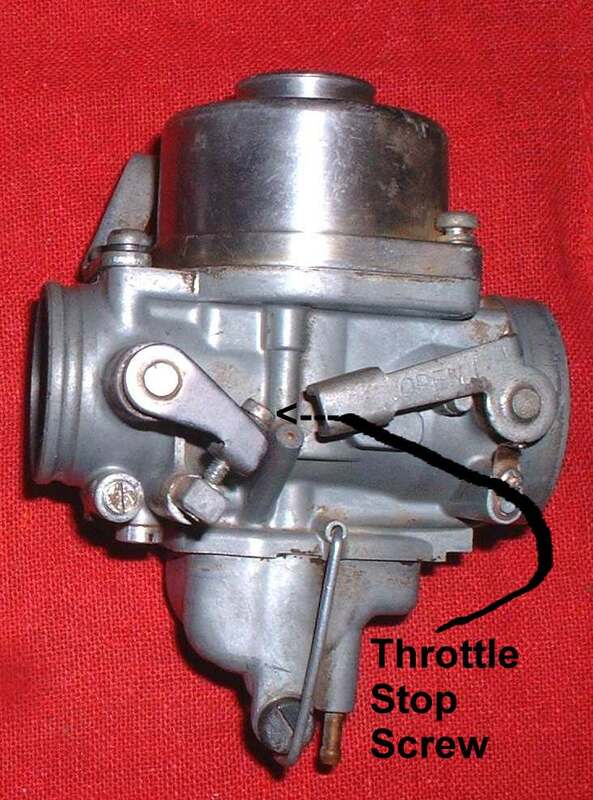 Multi cylinder motorcycles have numerous ways of adjusting the throttle and are usually adjusted on the side of one the carburetors and sometimes in the center between the carburetors. You will need to remove the Main jet and the Needle jet. 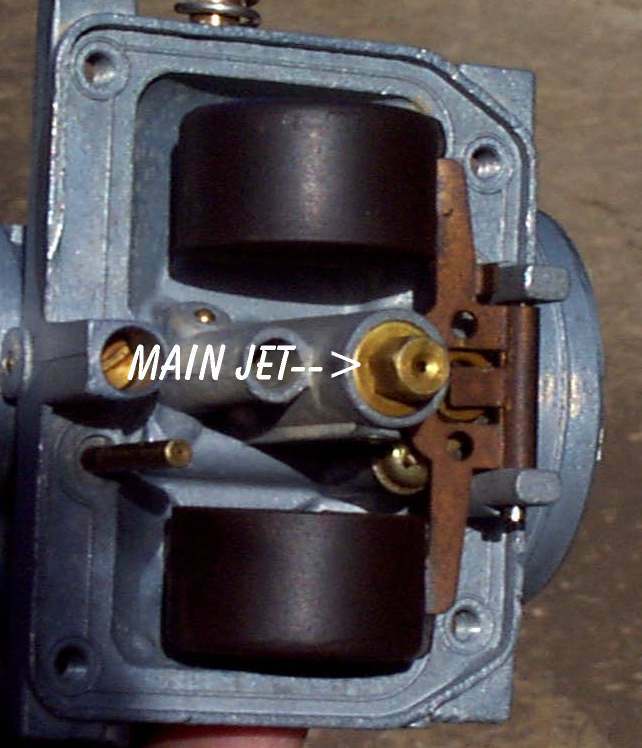 The Main jet is usually screwed on to the lower end of the Needle jet, locking it into the carb. Remove the main jet and tap out the needle jet. Do this very carefully. It can break very easily. Sometimes the needle jet will have an O-ring. 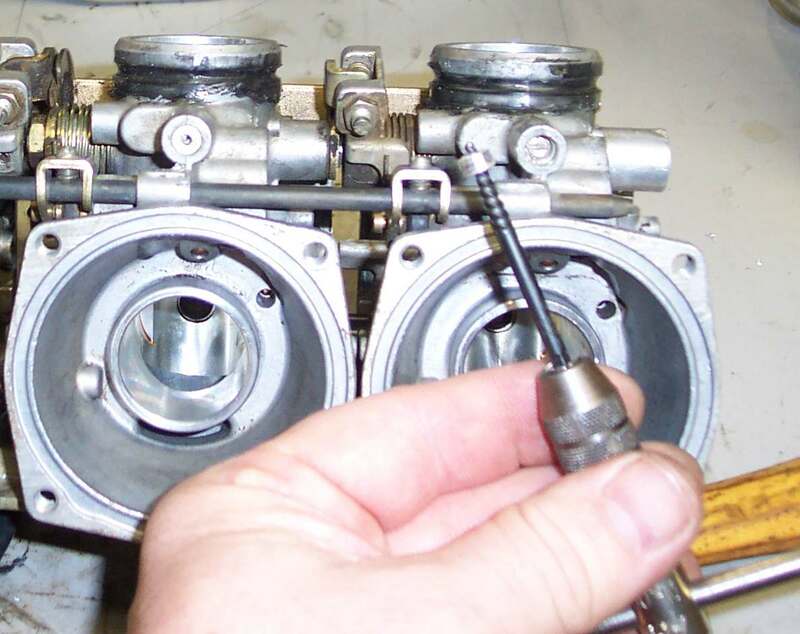 Remove the O-ring and soak both main jet and needle jet in carburetor cleaner. When you put it back in, there is a pin in the carb body that fits in a grove on the needle jet. Make sure they match up. Be careful not to strip or break the small idle jet when you try to remove it. It may be necessary to grind the end of a small screwdriver to fit the jet just right. Be aware that some idle jets are pressed in and cannot be removed. Even after soaking, the jet may still be plugged. If so take one wire out of a wire brush and gently push it threw the jet. 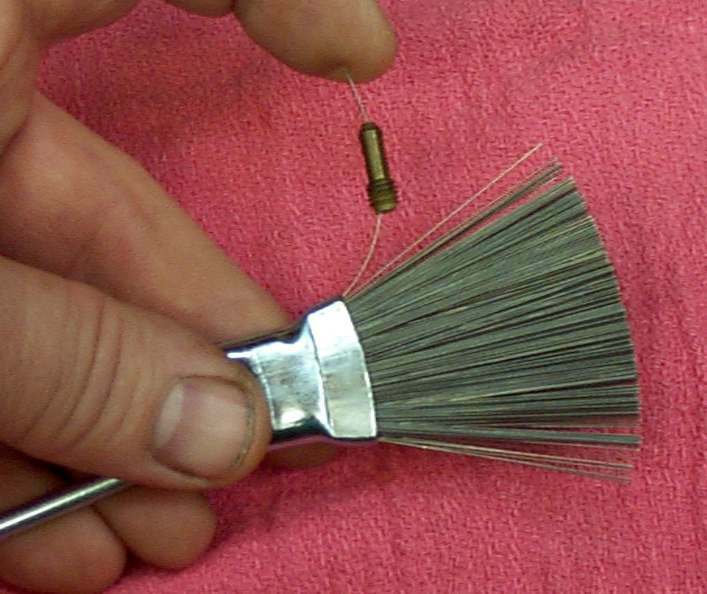 The wire brush shown has wires that are .013" in diameter. The smallest jet drill you can get is a #80, which has a diameter of .0135". So you can use the wire and not enlarge the hole, at least not by much. Yes, I know all the books say not to use anything to clean out the jet hole. However, they live in a world where you can always get a new jet easily and cheaply. This is not the world I live in. Be sure that you can see light, or squirt carburetor cleaner, through each jet. If you can't, it is still plugged. Compressed air works good too, only hold the jet in a shop rag so you do not give yourself an air embolism. I usually squirt some spray can carb cleaner into the carb passages, then blow it through with compressed air. I then look down the throat of the carburetor, as I blow it out, and make sure it comes out where it is supposed to come out, and that those small idle passages are clear. Wear goggles and don't get so close that you get that stuff in your eyes. 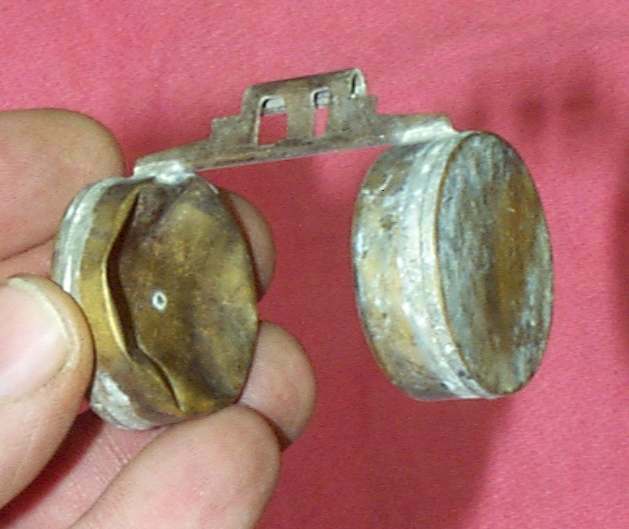 Sometimes the shafts that hold the carburetor floats can be badly gooked up or rusted. Use a penetrating oil of some kind and let it set awhile. By awhile I mean several hours, maybe overnight. It took many months for it to get gooked up. Seems only right it should take some time to remedy it. 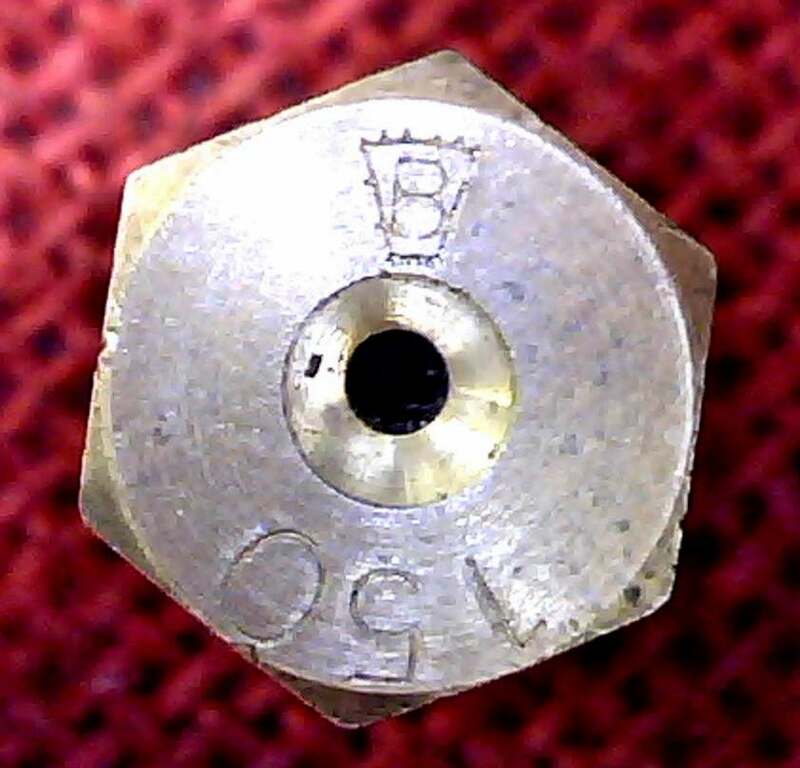 The oil will loosen up the parts so that you can drive out the pin with a very small punch. If necessary, tap on the punch very, very gently. The posts that hold the floats are very weak and break easily. 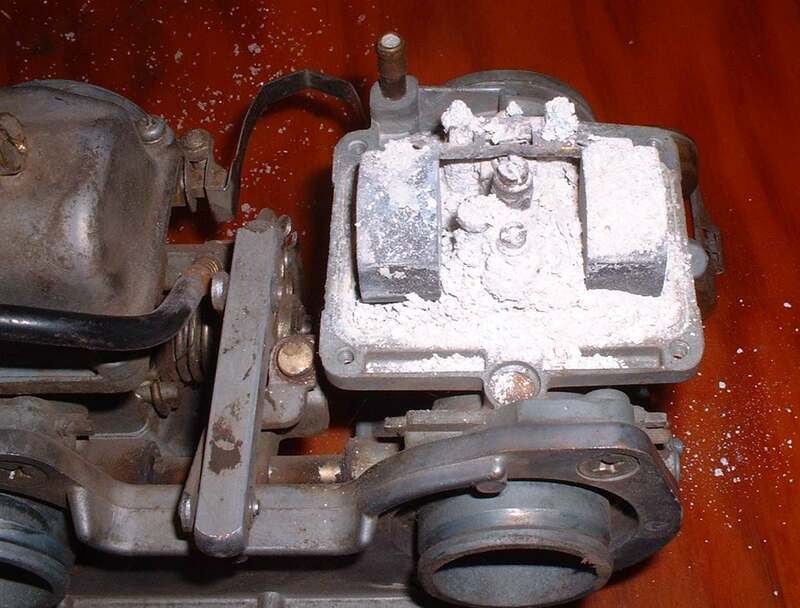 Carburetor bodies can be very costly to replace! If necessary make supports to back up the posts. Also the float pin may (or may not) be serrated on one end so you have to pull the pin out from the serrated end. The serrated end cuts into the float support, locking it in. Spray penetrating oil also works good to free up stuck throttle slides too. If the slides have a rubber diaphragm on them, spray carburetor cleaner on a rag and wipe the slide clean. Do not get any carb cleaner on the Diaphragm. It will ruin it. While you have the Diaphragm out inspect it for holes. If you have an engine that has good compression, starts well, but just has no power and revs up, ever so slowly... check that rubber diaphragm... I'll bet it has a hole in it. 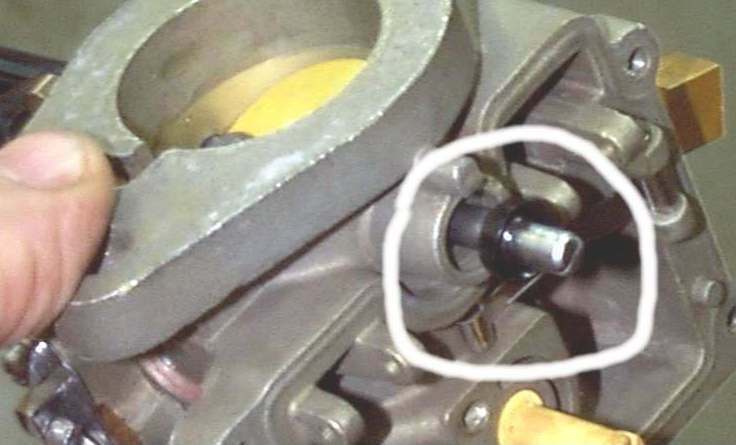 When you put the fuel inlet needle back in, put one drop of light oil on it so it will move freely in it's seat and not stick before the gas first starts to fill the bowl. 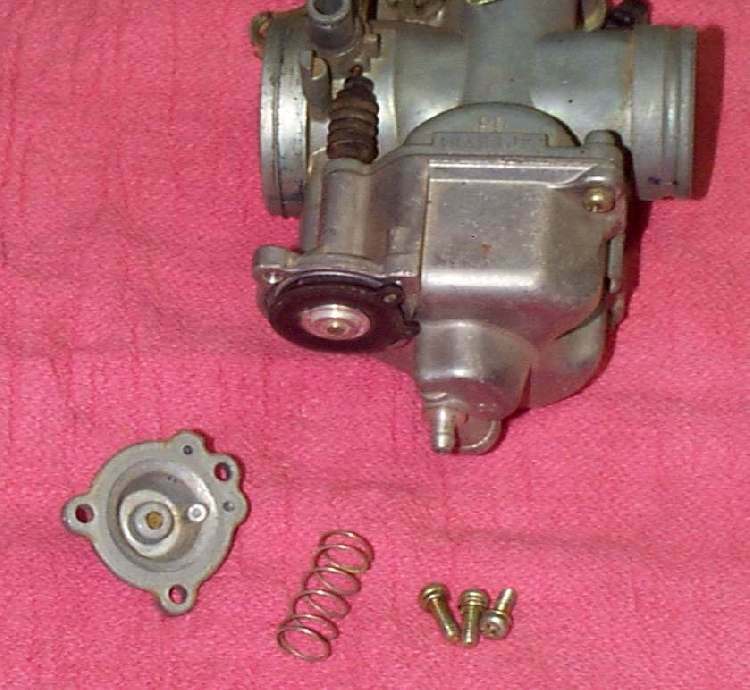 Don't clean the outside of constant velocity carburetors with spray carburetor cleaner unless you are sure they are not the Rubber Diaphragm type... the cleaner will eat the rubber. 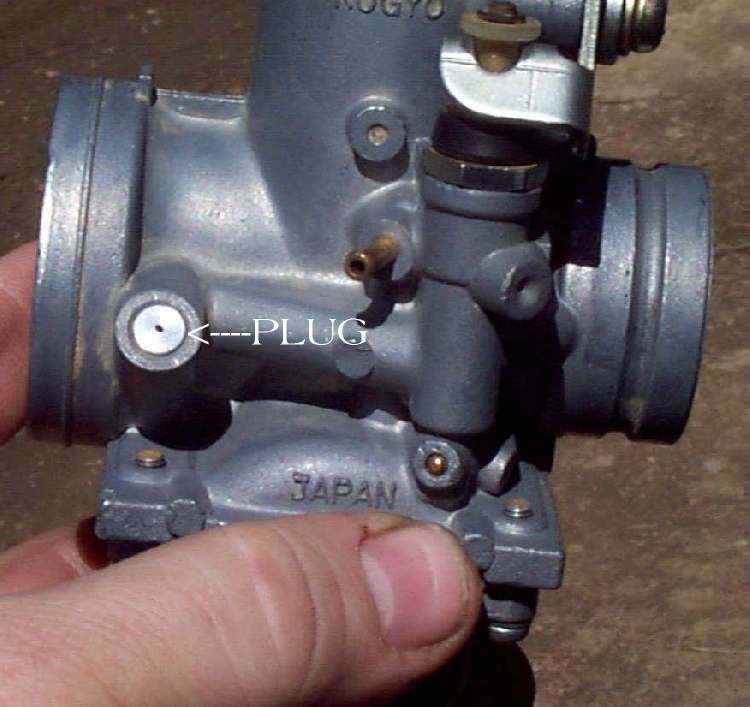 There is an all steel piston type of CV carburetor but it's still not a good idea to use the spray because of rubber float bowl gaskets. Notice too, the top seal is a Labyrinth seal. If you turn on the fuel petcock and gas pours out the overflow tube, tap lightly on the carburetor body with a plastic hammer(or something like it). That will jiggle the fuel inlet needle loose. Same thing if there is dirt holding the needle open. If it doesn't work you need a new needle & seat. 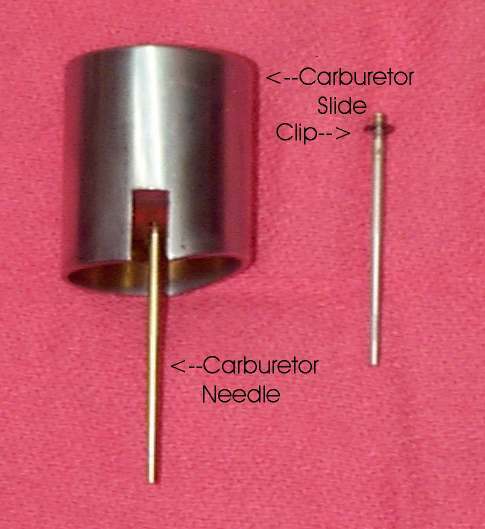 The tips of the fuel inlet needle can be either steel or rubber. Tips with a groove worn in them should be replaced. Floats control how much gas there is in the float bowl. The Tang of the float presses on the float needle (fuel inlet needle) letting gas into the float chamber when the level is low and shutting it off when it gets too high. If the Tang is metal, you can adjust the float level by bending it up or down. If it is plastic, it is normally not adjustable. Sometimes, you may run across a plastic float that has a metal insert that is adjustable. Float levels are different for each bike and are found in the bikes shop manual. If you don't have the float setting and can't find it anywhere, set it so the fuel level is a bit below the top of the float bowl. Make sure no gas comes out of the Float Over Flow Tube/Hose. 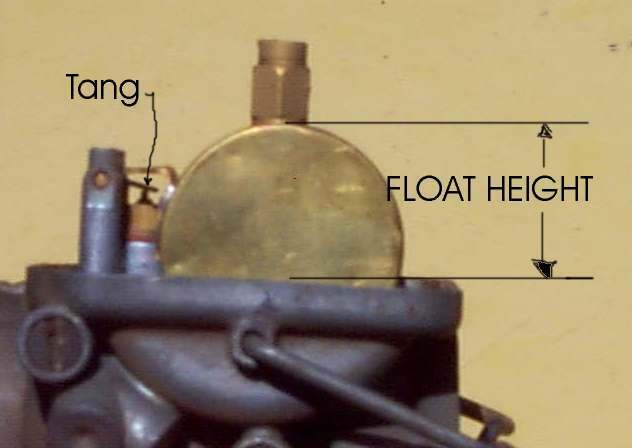 The Float Over Flow Tube is at the bottom of each carburetor. That should get you in the ballpark. Adjust the fuel level down from there as needed. There are many styles of floats. If you have Copper Floats, and the bike has been sitting out in the cold, with the temperature down below freezing, it's possible for water to get into the carb and freeze. 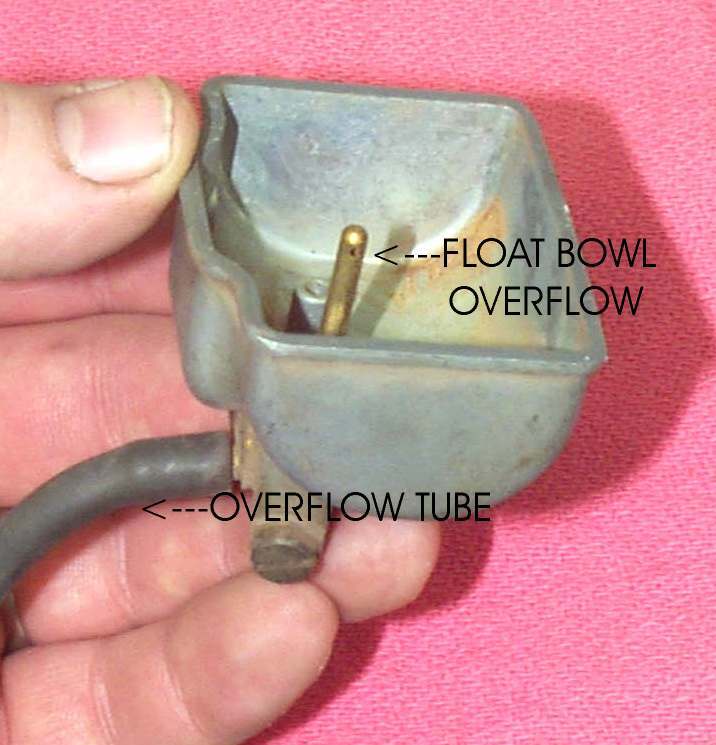 This can crush the floats and make the carburetor overflow, when you turn on the gas in the spring. Too high of fuel level can cause the carbs to leak too. 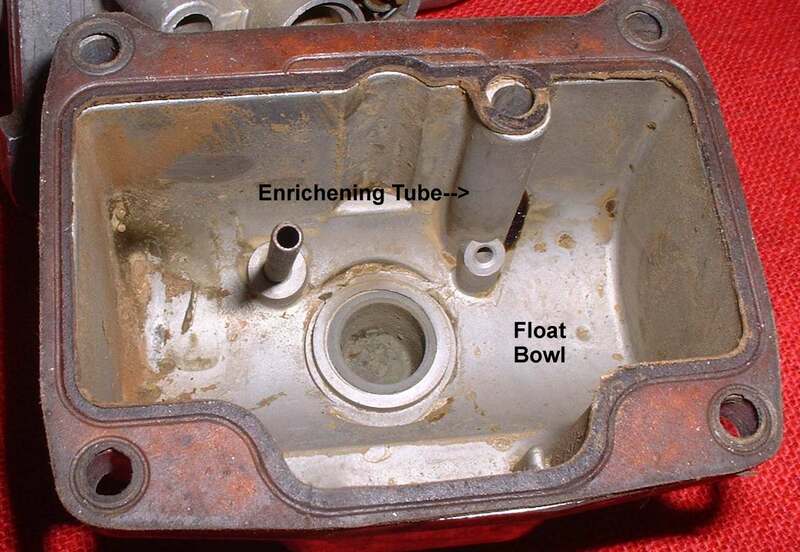 Part of the enrichening circuit is in the main carburetor body and part is in the float bowl. The Enrichening Plunger basically, when it is raised, uncovers a passageway to a very small cast in jet in the float bowl. This little jet can get plugged so when you clean the float bowl, make sure it is clear. I like to put some spray carburetor cleaner down the large passageway and see if it comes out the lower hole. Remember, don't get your eyes too close and "Goggles are your friend." The jet is cast into the lower part of the passageway, hard to see and not removable on most carburetors but not all. Sometimes they are screwed in. Sometimes the jet is in a tube that sticks into the Float Bowl. If it is plugged, the choke will not work. If the rubber boots and tubes, that connect the carburetor and the air cleaner housing, are old and hard, you should get new ones. However, sometimes they are not available. Try soaking them in carb cleaner. Soaking them will make them soft and pliable. You can soak them from several minutes to twenty minutes or more. Keep checking them till they look and feel right. Too long and it will ruin them. Of course, they are already junk anyway! You can also heat them in boiling water. This works real good, but they harden up real quick when they cool, so work fast. Because of old, hard rubber manifolds and tubes you may have to lever and pry the carburetors off. Be very careful when you do this. 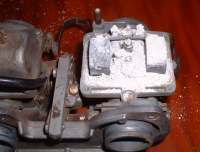 Carburetors are pot metal, very weak and easy to break. Lubing things up with Armor All and warming things up gently with a hot air gun can help. You can sometimes rejuvenate a rubber part by soaking it in Armor All for a day or two. This seems to help the rubber tips of some fuel inlet needles, provided they are in pretty good condition to start with. You can squirt Armor All on the insides of the air box tubes to help them slip onto the carburetors too. 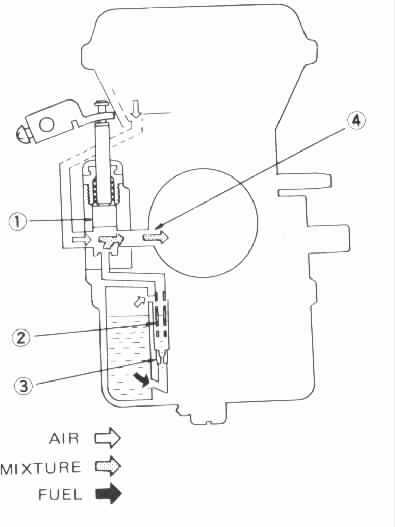 On the side of some carburetors there is another diaphragm that temporarily closes the slow speed jet air passage when the throttle is closed. This richens the fuel mixture, to reduce backfiring, when coming to a stop. Check it for holes and hope you don't have any. They are quite pricey. At the bottom of some carbs is an accelerator pump, to pump extra fuel when the throttle is opened. 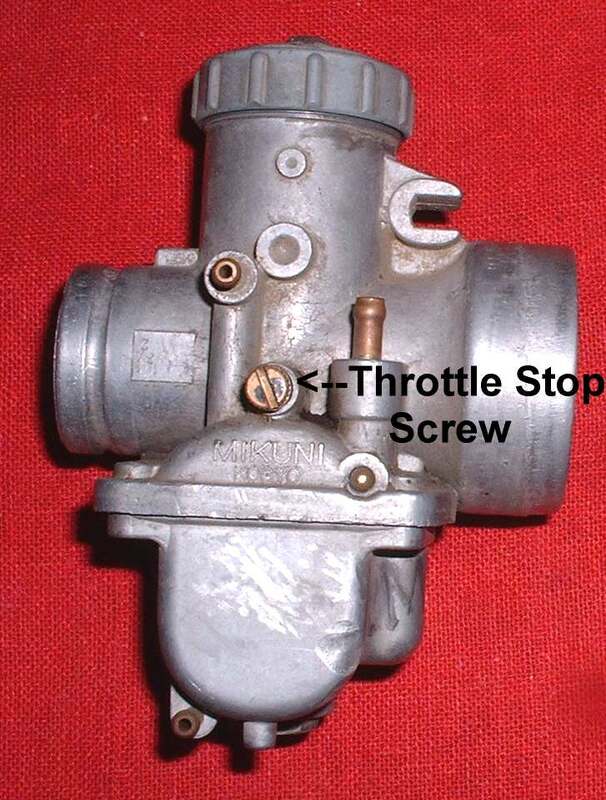 On multi-cylinder bikes usually only one carburetor has a pump and it is connected to the throats of the other carburetors by passages or tubing. Check this Diaphragm, also, for holes or cracks. 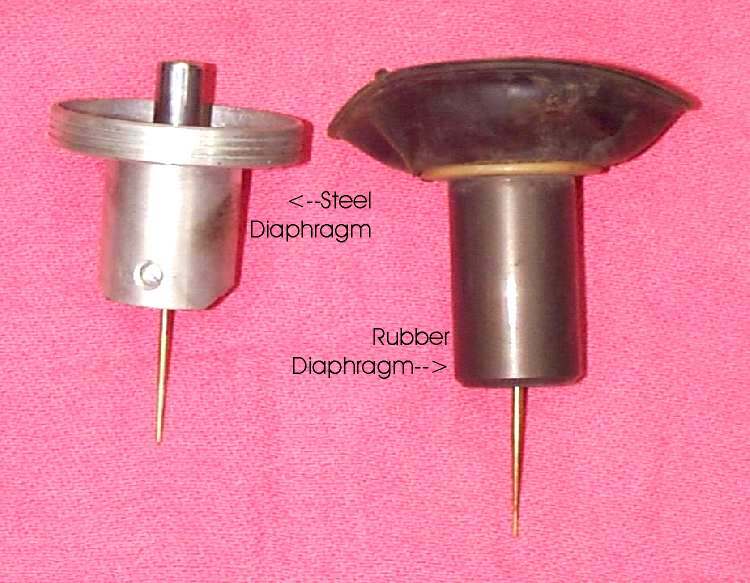 All new Diaphragms can be expensive and hard to get. I have heard of people using a spray on rubber coating called " Plasti Dip " to fix diaphragms. I have never used it but I hear it works. Get it from NAPA part # 765-2527. Worth a try anyway. The throttle slide can go in backwards...this jams the throttle wide open... Not Good...make sure it goes in the right way. There are only two adjustments that you can make from outside the carburetor. 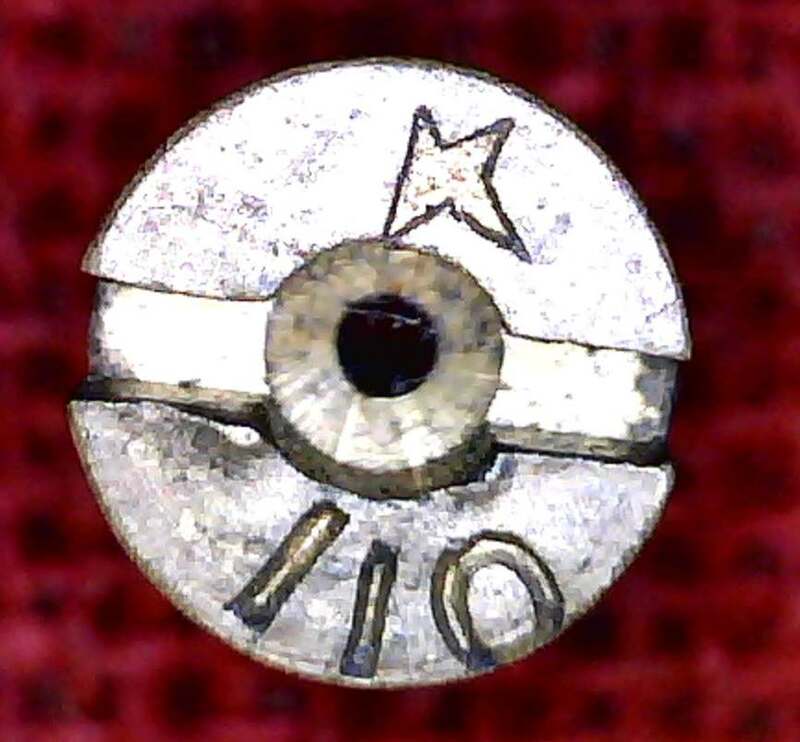 The idle screw (Throttle stop screw) adjusts the speed of the idle. The idle air screw adjusts the idle mixture. This is only at idle and does not effect anything above idle. Here is another method to adjust it. Screw the air screw in and out until you get the highest idle speed. Then lower the idle speed with the idle screw and do it again until you get the best idle. 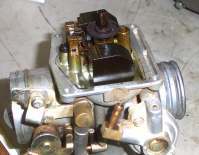 The air screw can be located on the right or left side of the carburetor. It can also be on the top or bottom, in the front of the carburetor too! To top it off, if you have a 1980 or newer machine, it may have a cover over it to keep you from messing with it. You will have to drill or pry it out somehow. EasyOuts work good for this. Watch out, it may be illegal for you to do this, depending on where you live and whether this is a racing motorcycle or not. If you can't get it to idle, or rather the idle stays real high then drops off and dies, check for an air leak at the carburetor manifold. Squirt some gas or starting fluid on the manifold and see if the revs change. If they do, you have a leak. If your valves clearances are too tight, it will also effect the idle. 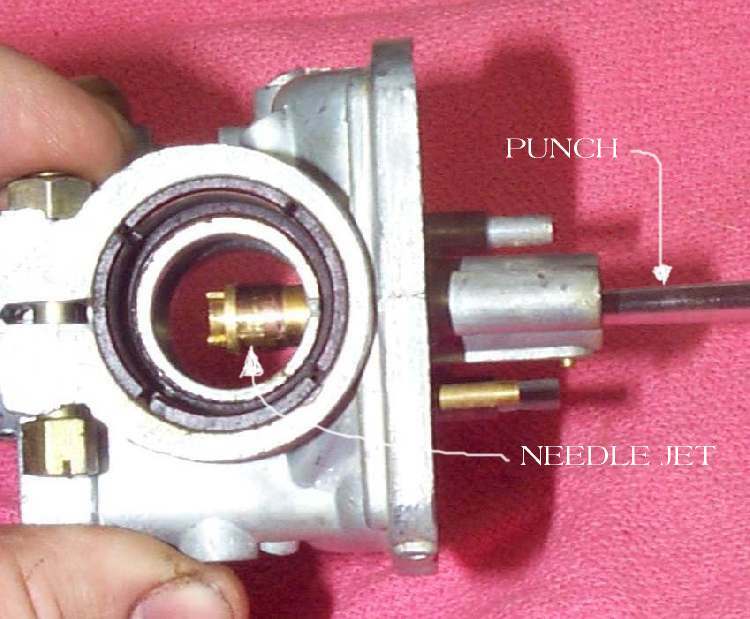 You can make your air /fuel mixture a bit richer or leaner by moving the carburetor needle clip up or down. Move the clip down a notch to raise the needle, to richen the mixture. Move the clip up to lower the needle, to lean out the mixture. 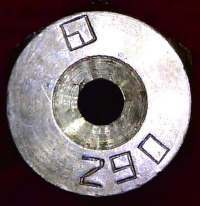 The needle is located in the throttle slide. You should always turn the fuel off. 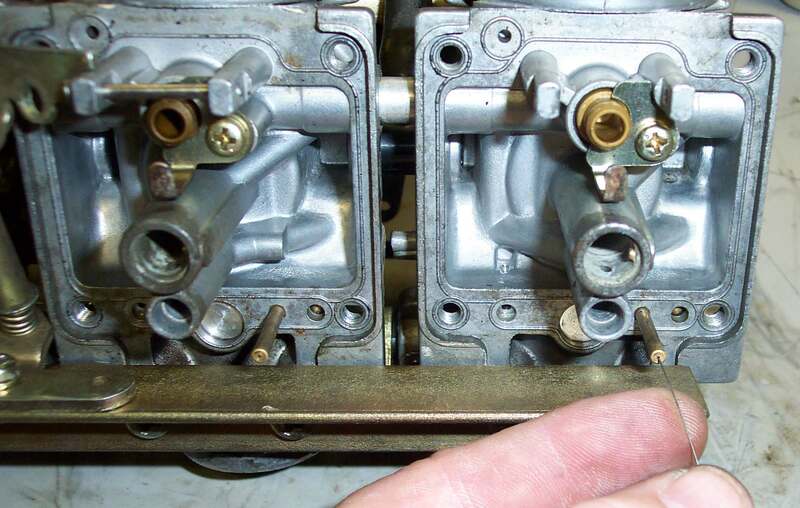 If you don't and the carb inlet needle fails, it will fill your crankcase full of gas. Not good. If you have a four stroke, it thins out the oil and parts start to weld together... really not good. If you have a two stroke it will fill up the crankcase with fuel and can cause it to hydraulically lock. But at least it will not overheat the engine. A lot of newer bikes have a fuel petcock with a Diaphragm that only lets fuel into the carb if the engine is running. It operates on vacuum pressure. Normally you have three settings. On, reserve, and Prime. 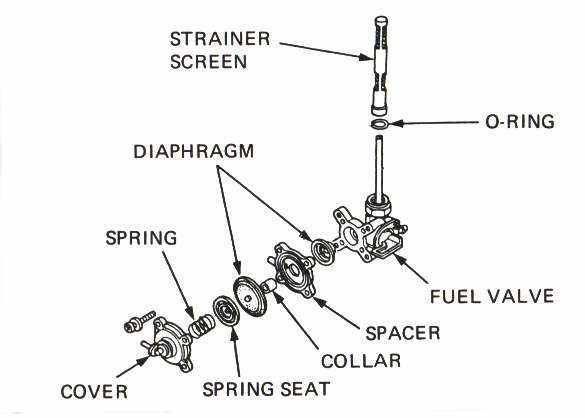 Prime bypasses the diaphragm to let fuel into the carburetor after it has set a long time. Finally, a word on parts. Use only the carburetors manufacturers brand of parts. Such as Mikuni, Keihin, Bing, Amal, ETC. Do Not use aftermarket carburetor kits or parts. Their quality control is lousy (all of them!) Trust me on this, I speak from way too much experience. I have installed no less then sixteen aftermarket carburetor kits and there will not be a seventeenth. Yes, you are right I am a slow learner (But man, the kits are so cheap!). Oh, how many hours did I waste figuring out which "New" jets were bad? I don't even like to think. How do you tell if a jet is Genuine Keihin or Mikuni or Bing or Amal or whatever? Simple, each jet will be marked with the Logo of the manufacturer. A "K" for Keihin or a "square within a square" for Mikuni. Bing has a "B", Amal has, well. 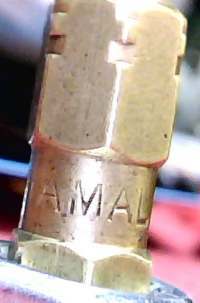 "AMAL" and so on an so forth. I think you get the Idea. They are proud of their parts. If there is no name... how proud is that? 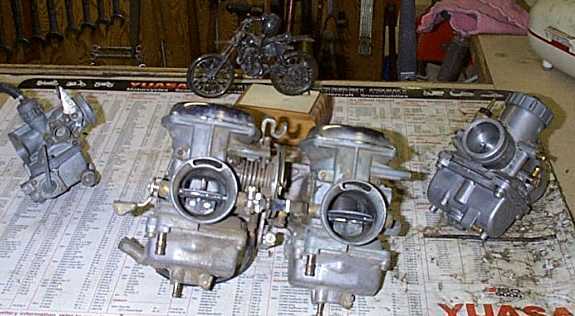 Keep your Carburetors clean and they will be "meet for any work".